It’s the best time to start the next project on your home improvement list. 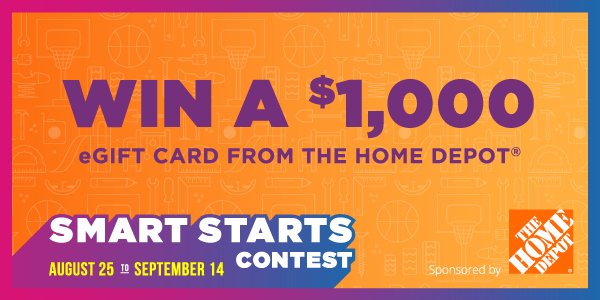 Through September 14, every order you place with at least $200 in Home Depot scrip enters you to win one of three $1,000 eGift cards from The Home Depot. Today through National Teddy Bear Day on September 9, earn an 11% bonus rebate—that’s a 3% bonus on the everyday 8% rebate—and be entered to win one of two teddy bears when you place an order with Build-A-Bear Workshop scrip.